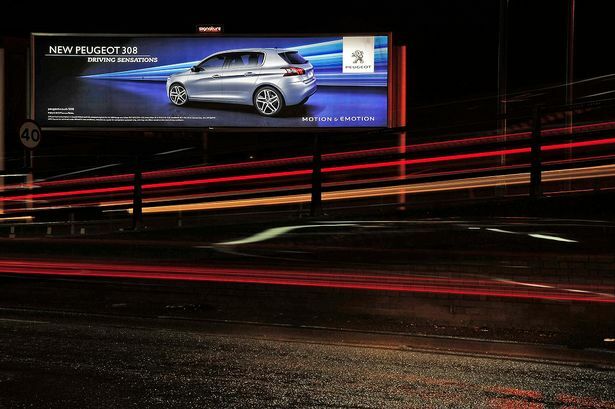 Signature Outdoor, the company behind some of the city&apos;s large advertising hoardings, has been acquired by a London-based rival. Established in 2003, Signature is based at Two Snowhill and specialises in large format outdoor media in the city and across the West Midlands including in Park Street by Bullring, St Chad&apos;s Queensway and outside Millennium Point. It has been bought in an undisclosed deal by London-based Ocean Outdoor which was founded in 2005 and operates 28 sites across the UK including the Hammersmith flyover and at Westfield Shopping Centre in Shepherd&apos;s Bush. Signature Outdoor&apos;s co-founders Gerry Bew and Steve George will join the executive team led by chief executive Tim Bleakley. The move provides the enlarged entity with the opportunity to trade independently, under two brands. Gerry Bew, managing partner at Signature Outdoor, said: "Joining forces with Ocean will significantly enhance our proposition to the market, help improve our digital technology and reach out to a much wider client base. "Our market leading position in Birmingham and strong pipeline of opportunities puts us in good stead to create a world-class network in the industry." Mid-market advisory firm Clearwater International acted for Signature Outdoor on the sale with a team led by partner Paul Newell alongside assistant director Rob Burden and manager James Clifford. Mr Newell added: "This is a strategic move for Ocean as the businesses are highly complementary. "This acquisition will enable Signature to further strengthen its market leading position in Birmingham and gives Ocean a significant presence in this key geography. "We&apos;re confident that Signature will continue to prosper within the Ocean group." Law firm Browne Jacobson, led by Gavin Cummings and Tina Robinson, advised the sellers. Ocean Outdoor is backed by private equity firm LDC. This week on the free Birmingham Post app: Classical music festival preview, Family Law and Architects and Building Consultants pullouts and glamping at Warwick Castle as well as daily breaking news. Download it here.